Deadline reports that Jeremy Renner has officially joined the cast of the new Spawn movie from Blumhouse Productions and Todd McFarlane. 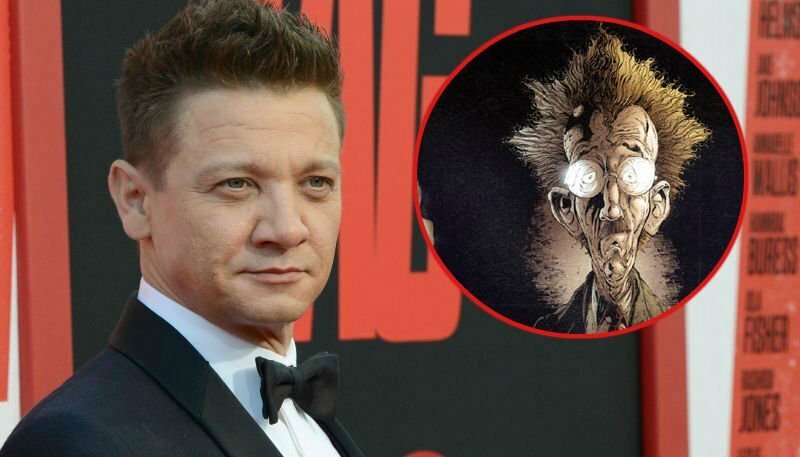 Renner will take on the role of Detective ‘Twitch’ Williams, the egg-headed private investigator that crosses paths with the demonic superhero from time to time. Jamie Foxx will take on the title role of Spawn for the reboot. McFarlane will write and direct the Spawn reboot, which he previously confirmed will be “dark and R-rated,” even going so far as to say that it would be a harder R than Deadpool. McFarlane also revealed that the budget for the film will be a meager $10-to-$12 million, an atypical budget for a superhero film (which range into the hundreds of millions at Warner Bros. and Marvel Studios) but par for the course for Blumhouse Productions (who specialize in lower-budget features anywhere from $100k to $10 million). With such a smaller scale film, the money for which McFarlane himself is at least partially putting up, allows the filmmaker to share more content with fans from the set, which he promises to do every day of production. First appearing in 1992’s Spawn #1, the character quickly became the symbol for 1990s comics dark and brutal antiheroes. His Hellspawn powers allow him to teleport, shape shift, and utilize a variety of weapons (notably chains) in combat. Spawn previously made the leap to the big screen in 1997 with Michael Jai White in the title role and then on television as an HBO animated miniseries, titled Todd McFarlane’s Spawn. The character recently celebrated his 25th anniversary, and will hit over 300 issues sometime next year, taking the record from “Cerebus the Aardvark” of the longest running independent comic book ever published.